Just like in English, there’s a number of ways to say thanks and express gratitude in Chinese. Notice how the tone on the second syllable is lighter and shorter than the one on the first. It’s spoken as a neutral tone. 谢谢, of course, is a highly versatile word. But it’s good to be able to switch things up and adapt your language to particular situations. Like native speakers do! Maybe you want to sound more casual? Or more formal? Maybe you want to be specific about why you’re thanking someone? Maybe you’ll find some phrases to help with this below…. 谢谢! xiè xiè! Thank you!/ Thanks! 谢谢你! xiè xiè nǐ ! Thank you! 多谢! duō xiè! Many thanks! /Thanks a lot! 非常谢谢! fēi cháng xiè xiè! Thanks a lot! 非常谢谢你! fēi cháng xiè xiè nǐ! Thank you very much! 非常感谢! fēi cháng gǎn xiè! (I'm) really grateful! 非常感谢你! fēi cháng gǎn xiè nǐ! (I'm) really grateful! 太谢谢你了! tài xiè xiè nǐ le! Thank you SO much! 谢谢你的理解! xiè xiè nǐ de lǐ jiě! Thank you for your understanding! 谢谢你的支持! xiè xiè nǐ de zhī chí! Thank you for your support! 谢谢你的咖啡! xiè xiè nǐ de kā fēi! Thank you for your coffee! 谢谢你的帮忙! xiè xiè nǐ de bāng máng! Thank you for your help! 谢谢你的爱! xiè xiè nǐ de ài! Thank you for your love! 改天请您吃饭! gǎi tiān qǐng nín chī fàn! I'll treat you to a meal someday! 太谢谢你了，你对我真好! tài xiè xiè nǐ le， nǐ duì wǒ zhēn hǎo! Thank you so much! You're so good to me! 非常感谢你啊！今天你帮了我一个忙. fēi cháng gǎn xiè nǐ a！ jīn tiān nǐ bāng le wǒ yī gè máng. Thank you very much! You did me a favour today. More ways to show thanks and express gratitude in Chinese. Some observations on how “thank you” is used in Chinese culture. 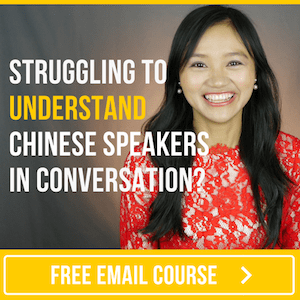 A quick guide to pronouncing 谢谢 xiè xie like a native speaker.